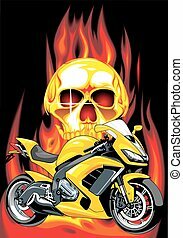 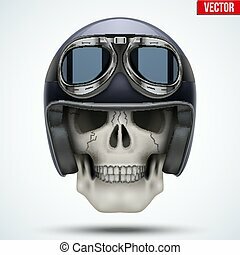 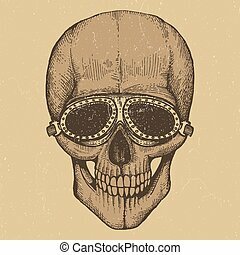 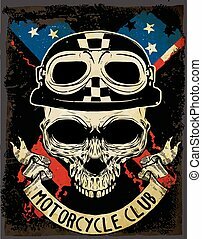 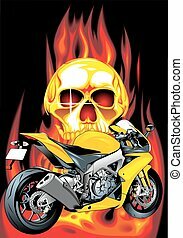 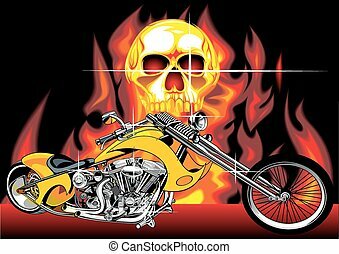 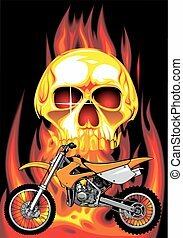 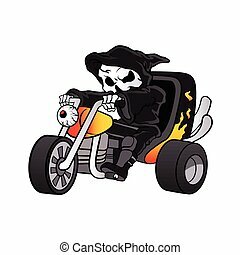 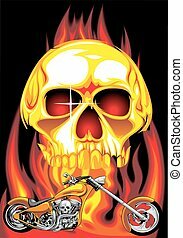 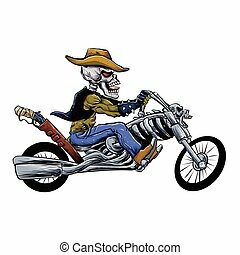 Motorbike and human skull on the fire background. 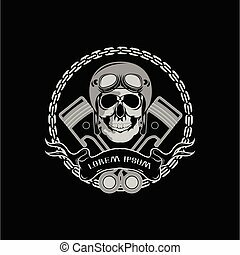 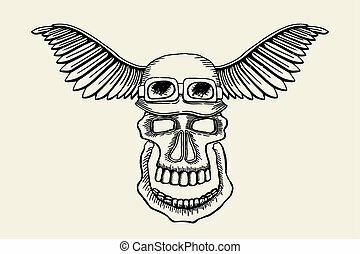 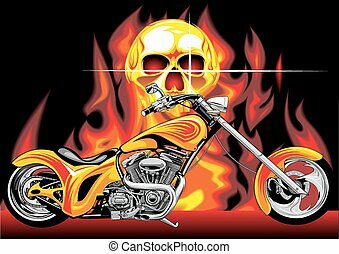 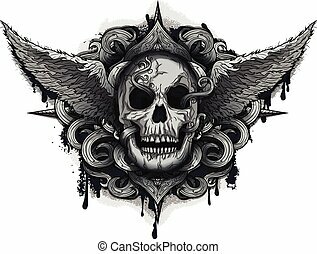 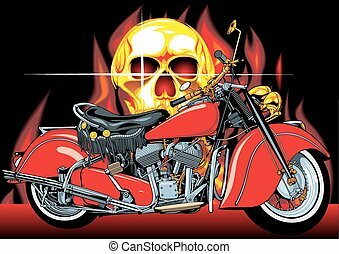 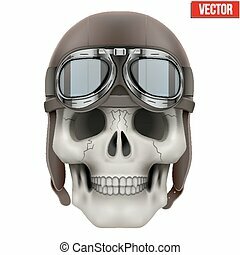 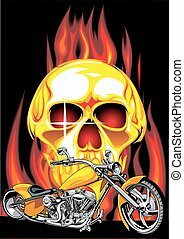 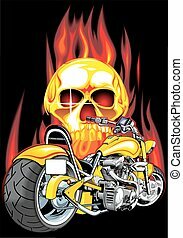 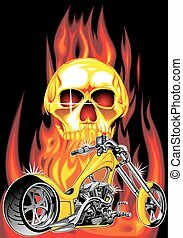 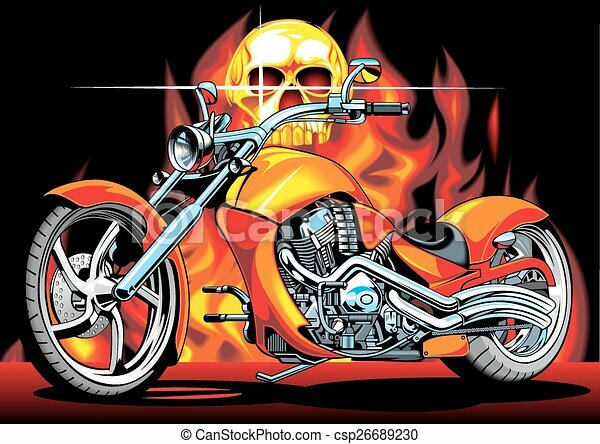 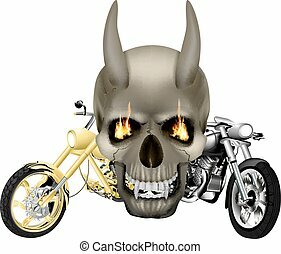 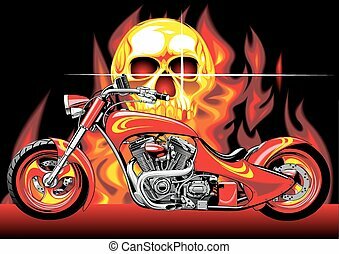 Vector skull vampire monster with fangs flames in front of the background of two motorbike, choppers. 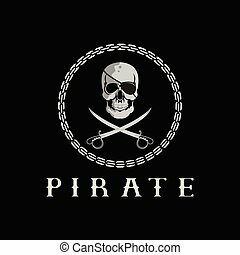 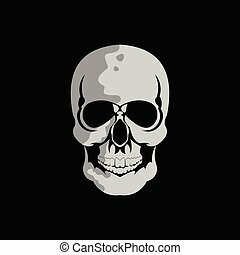 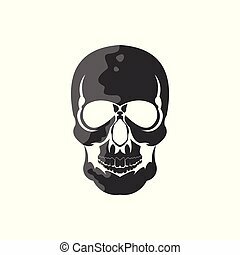 Isolated object on a white background, can be used with any image.